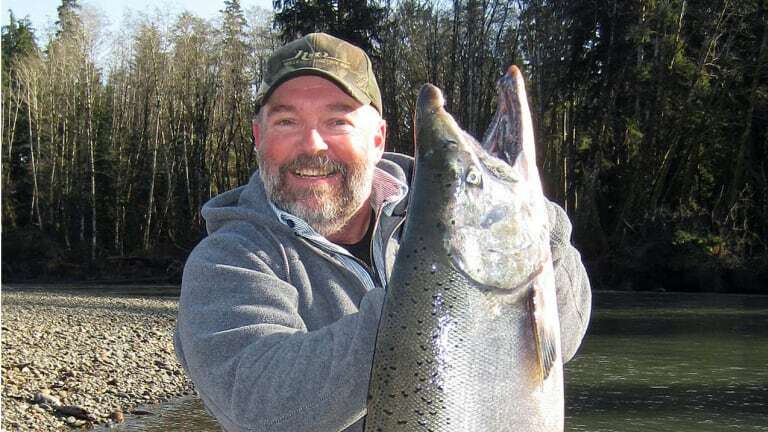 Veteran angler and retired guide Kris Olsen has seen his share of big trout and salmon in his many years of fishing storied waters from Washington to Alaska. 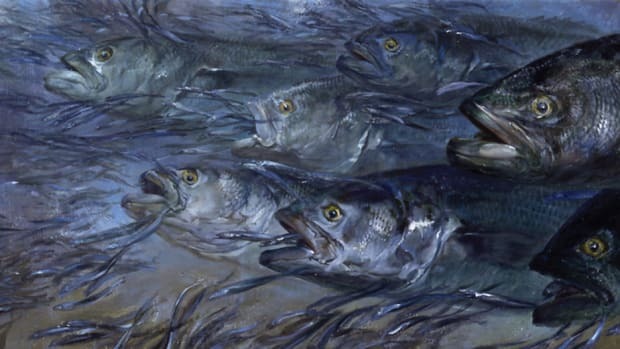 But there’s one fish a client hooked 20 years ago that left such an impression on him that he remembers the details of the great fight as if it happened yesterday. 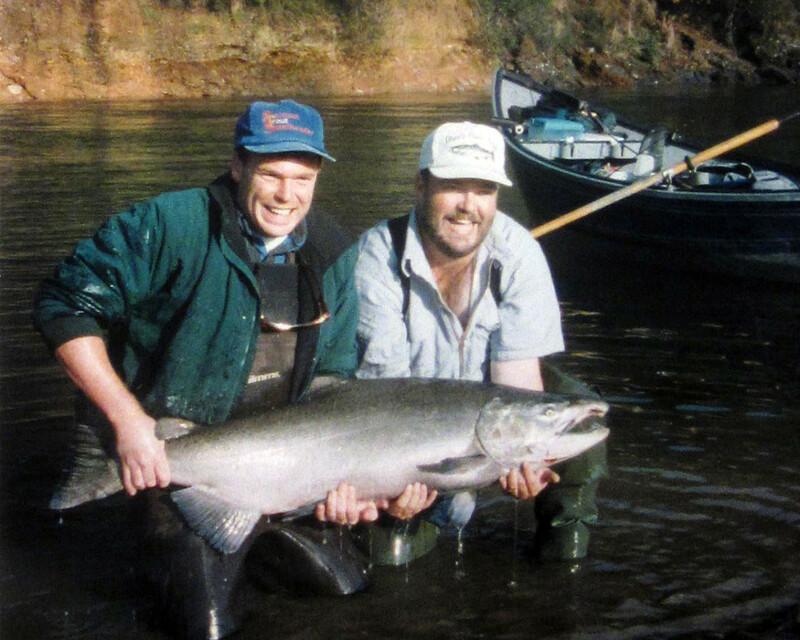 The action took place on the Humptulips River near Aberdeen, Washington, during the fall run of chinook salmon in the mid-1990s. The Humptulips was known as a big-fish river, and each year the good guides would get a half-dozen fish in the 40s and a 50-pounder or two. 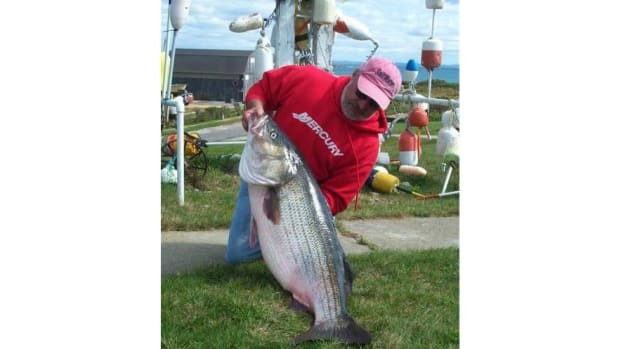 Fish in the 25- to 35-pound range were common. 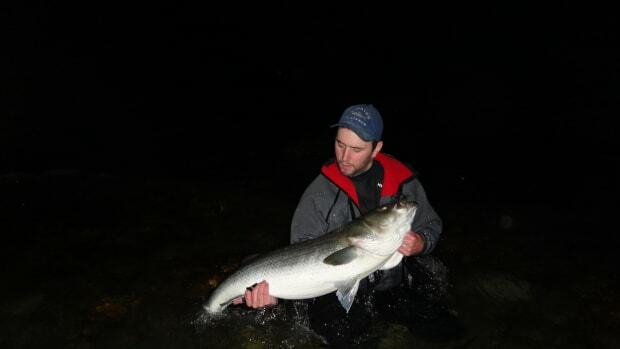 Kris Olsen with a nice Chinook that did not get away. 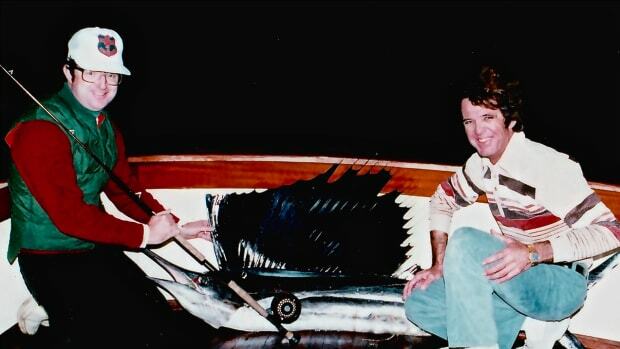 On the day this story took place Olsen was guiding a couple who had fished with him for six or seven years. It was October, and the river was very low from lack of rain. Olsen and a few other guides were fishing several holes in the tidewater section of the river from anchored drift boats. The chinooks would push into these spots on the rising tide and fall back out on the ebb. To catch the flood, Olsen launched in predawn darkness. By first light, he and his clients were set up in a narrow spot not more than 30 feet wide. There were four boats anchored below him. 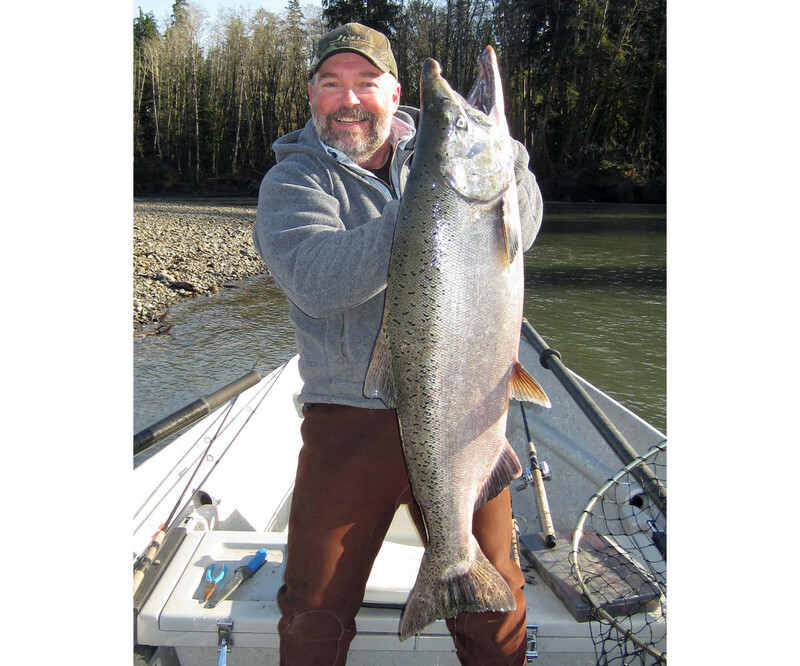 In short order, Debbie got the first fish, a chinook weighing about 30 pounds. Not long after that, her husband, Robert, got one weighing maybe 32 or 33 pounds. Both were ocean chrome, having just come in on the flood. They were using cured salmon eggs for bait. 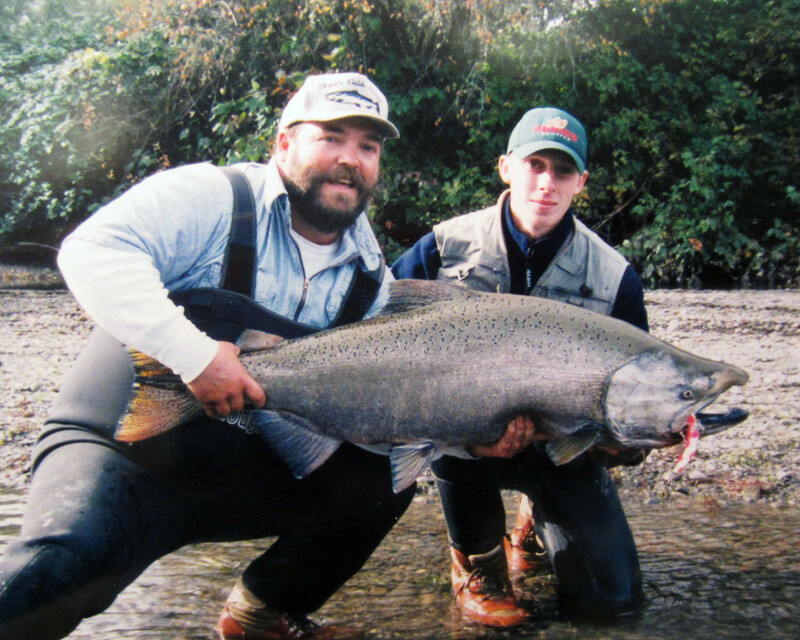 Editor Nick Amato (left) with a 50-plus-pound chinook taken with Olsen. Things slowed, and Debbie told Olsen that she was getting a little tried of working the pole. So the guide rigged up with a bait diver rig, which would allow her to fish the rod from a holder. The client was fishing a Loomis 981C rod and Abu Garcia 6500 Ambassadeur reel, 30-pound mono, 40-pound leader and a double 5/0 hook rig. “Real stout stuff,” Olsen recalls. Olsen, client and a nice fat king. But the fish wasn’t moving. And Olsen was having doubts about being able to land it in this spot. He was certain it was just a matter of time until it wrapped the line around a submerged tree branch and broke free. 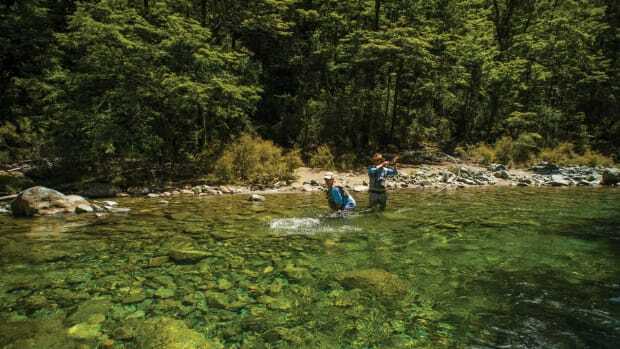 The guide decided the best strategy was to pull the anchor and move downriver, pulling the fish over one riffle and into the next hole, where there was a large gravel bar that they could land the fish on. What Olsen didn’t realize was just how deep the water was right off the edge of the bar. 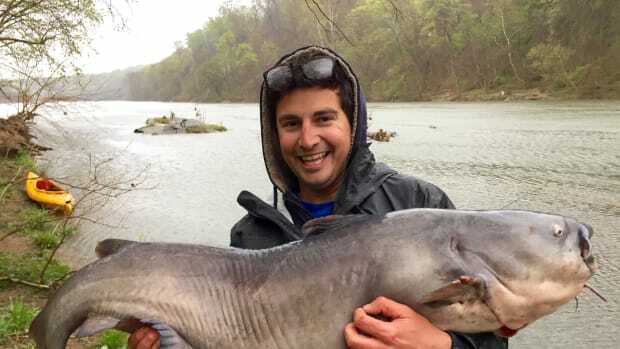 “I really thought I was going to be able to wade out into the river to help scoop it up, and I couldn’t. I mean it just dropped right off,” he says. The new water also gave the fish a second wind of sorts, and the angler and the fish had another give-and-take that lasted probably 15 minutes. Olsen had a large Beckman net, but he couldn’t walk out into the river without disappearing. 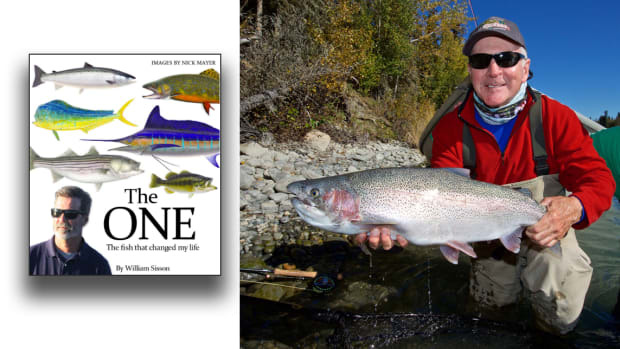 With the fish lying on its side, he also noticed that the line wasn’t going directly from the rod to its mouth. 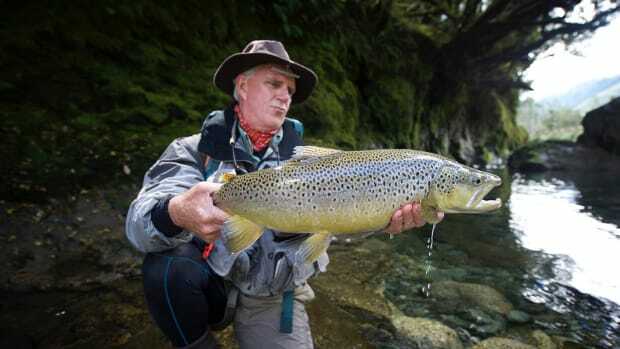 The mono was wrapped around the chinook’s belly and over its shoulder and then down to the hook in its maw. 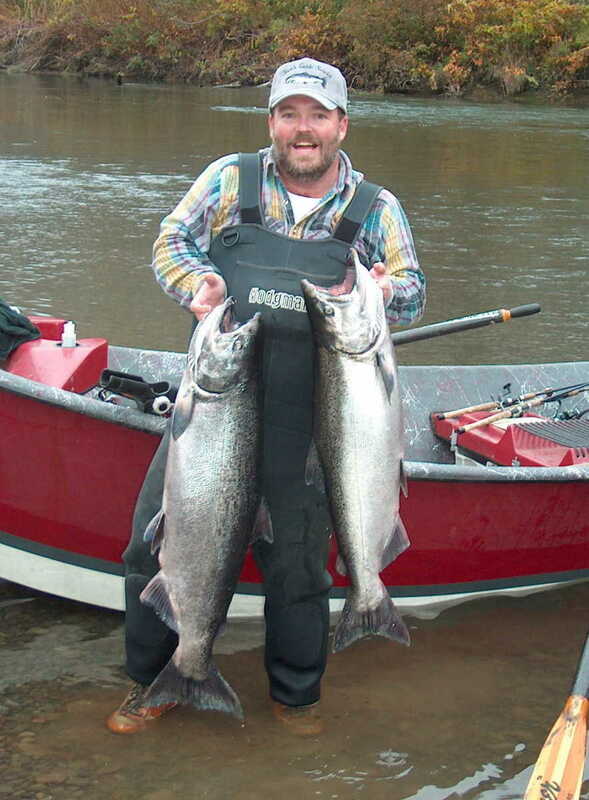 A bright pair that Olsen took in the Humptulips River. 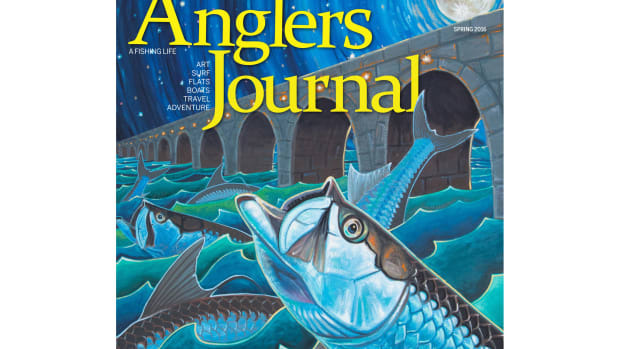 The angler was disappointed but philosophical. The loss hit Olsen harder. “She took it like a champ,” Olsen remembers. “I was devastated. If I could have taken two steps into the river I could have had it, but I would have been up to my neck.